Frankfurt, Germany, April 2019: The Berlin-based manufacturer Stage Tec presented IP-based products and applications for theatre, live and broadcast at prolight+sound in Frankfurt (8.0H61). AVATUS was a highlight at the Stage Tec booth in Frankfurt with many new functions. The fully IP-based console has a completely new and intuitive operating concept. The clearly structured user interface simplifies operation without sacrificing functionality. 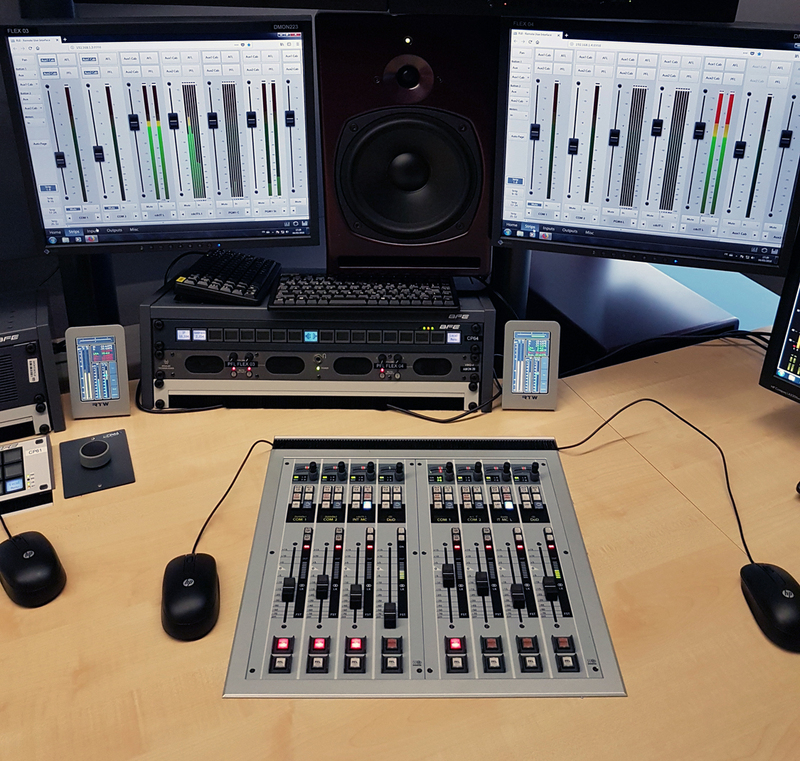 AVATUS relies on colour coding for control elements such as encoders and faders as well as user guidance without deep hierarchies. Two 21" FHD multi-touch screens per fader module provide the flexible user interface, a rigid central unit is no longer necessary. 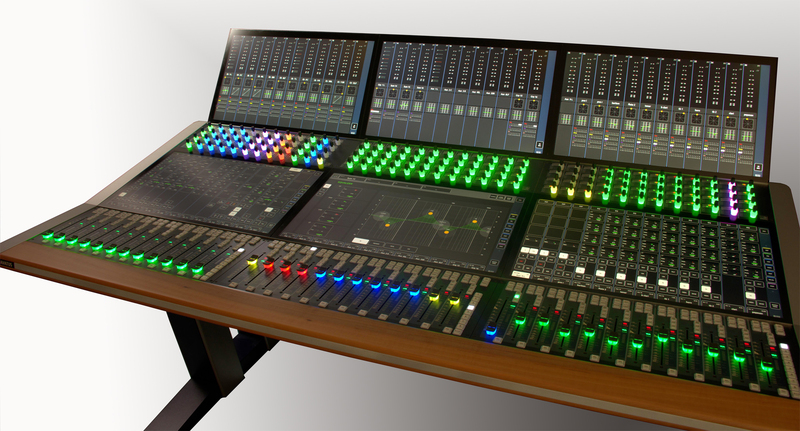 For the official market launch in June, AVATUS will be available in sizes between 12 and 96 faders and in various hardware versions. Removable PoE-powered metering screens underline the modularity of the AVATUS system and enable optimal adaptation to every conceivable application. 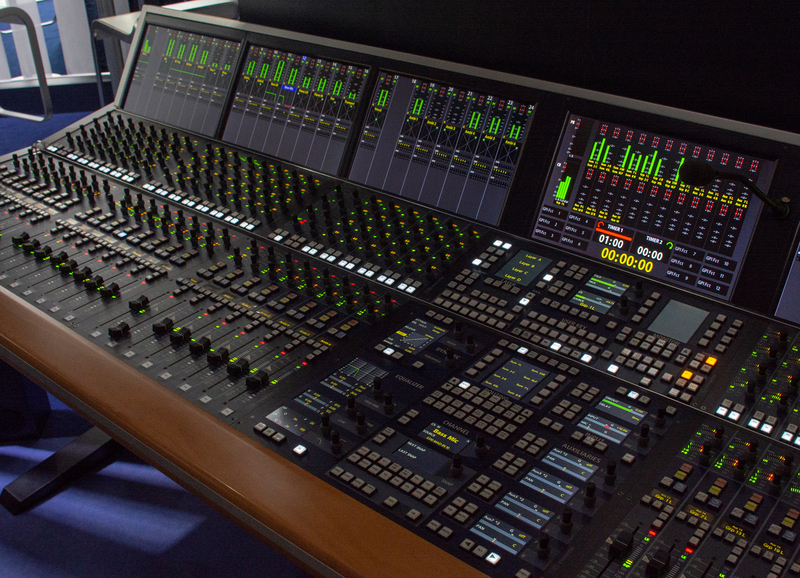 Stage Tec presented its flagship product in Frankfurt: the AURUS platinum audio mixing console in the fourth AURUS generation with a brand new feature – Waves integration. From software release 4.8, the extensive possibilities of the familiar plug-in system can be made available in all AURUS systems. The Waves plugins can then be connected directly to the AURUS scene automation system. Thanks to the AES67/Ravenna connection and Dante interfaces from NEXUS, AURUS platinum can be integrated into IP networks. At prolight+sound, visitors could also familiarize themselves with the benefits of CRESCENDO-T, a compact mixing console with special features for theatre applications. The static automation has been extended with a number of new functions and CRESCENDO-T now offers the same functionality as in AURUS. Another important feature for theatres is the timecode trigger in scene automation, which can be used to call up scene events. The CRESCENDO-T equalizer has been extended to eight bands - 4x peaking and one high-pass filter, one low-pass filter, one high-shelving filter and one low-shelving filter each. As of software release 4.8, all CRESCENDO systems offer Waves integration. Users can then connect the Waves plugins directly to the scene automation. Stage Tec also showed its smallest mixing console in Frankfurt, the fully IP-based ON AIR flex. The adaptable, freely configurable and easy-to-use console is perfect for broadcast applications. ON AIR flex is fully integrated into the NEXUS audio network and can be combined with all I/O formats. The console is available in modular sizes from one to six cassettes and features a web-based remote user interface. NEXUS, the Stage Tec audio network, offers interfaces to all standards and also covers the current IP formats with the latest RIF67 and XFIP boards. These NEXUS components were also presented in Frankfurt. In March there was a test event organized by the Joint Task Force on Networked Media (JT-NM) in Houston, Texas, in which Stage Tec participated with the XFIP/RIF67 product. JT-NM promotes the development of interoperable IP technologies for professional media through standardized test procedures. JT-NM is supported by the European Broadcasting Union (EBU), the Society of Motion Picture and Television Engineers (SMPTE) and the Video Services Forum (VSF). For Stage Tec, the participation of the XFIP/RIF67 product in the ST2110-30 and ST2022-7 test procedures was a complete success. At the beginning of April at NAB Stage Tec will receive the "JT-NM Tested" label. NEXUS offers two interfaces for AoIP connections: RIF67 for 6-RU systems and XFIP for 3-RU systems. Both boards are based on DirectOut's AES67.IO module and support the AES67/Ravenna protocol. They also comply with ST 2110-30 and 2022-7 standards, which support interoperability in audio networks. The NEXUS XDIP board has been available for Dante AoIP networks since 2012. In Frankfurt, a new firmware for XDIP was introduced, which enables the Yamaha consoles of the CL/QI series to be connected to NEXUS via the RIO protocol.